Live music is back! Enjoy your dinner and drinks with some soothing acoustic tunes every Wednesday and Friday night at Union. The madness begins! 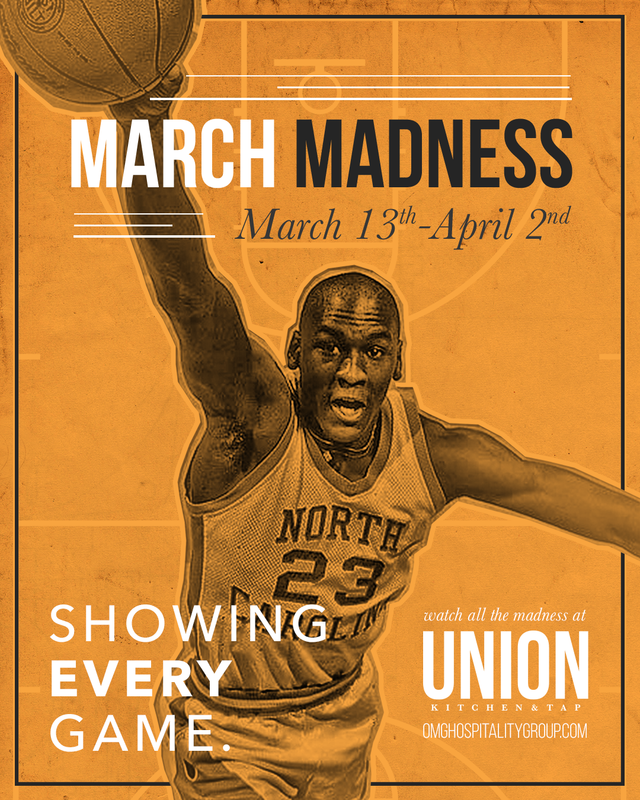 Sports fans and day drinkers alike can join us for every game during the NCAA madness season. Our family is growing! 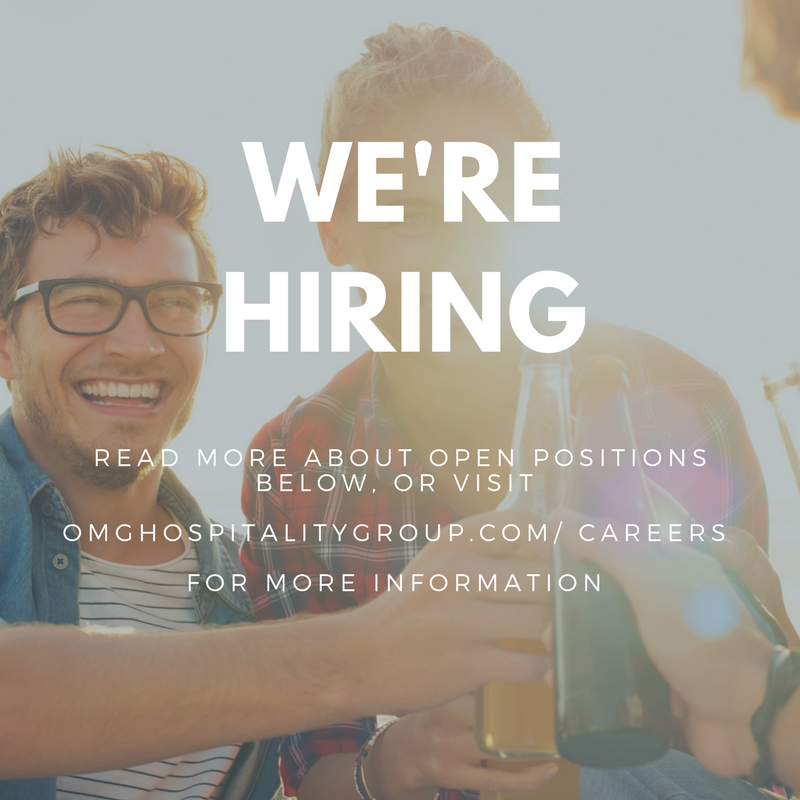 Learn more about open positions at omghospitalitygroup.com/careers, or apply in person with a resume during the week. St Paddy’s Day is almost here! 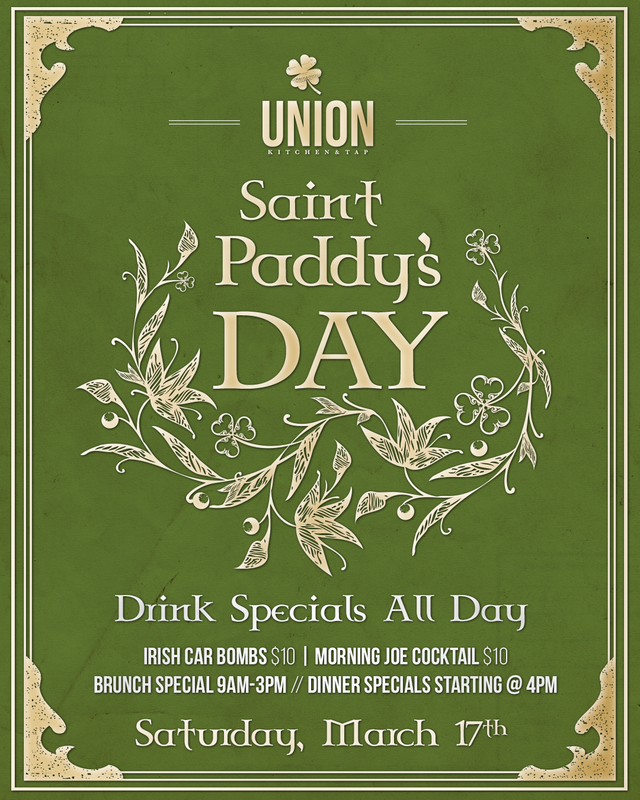 Come enjoy our special libations and brunch/dinner additions in honor of the fighting Irish.